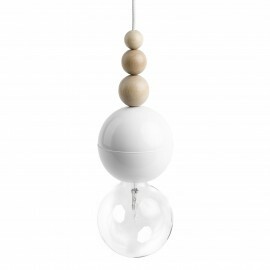 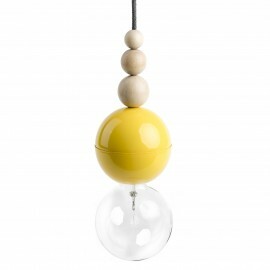 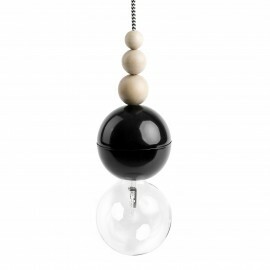 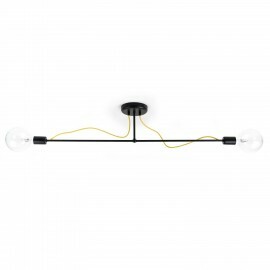 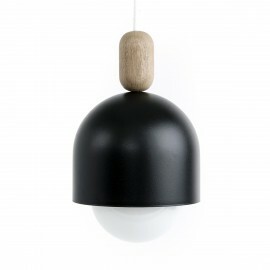 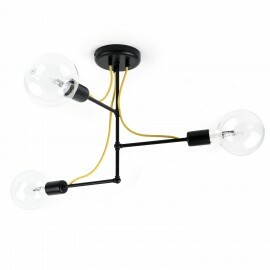 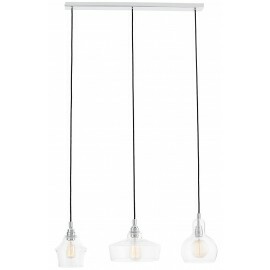 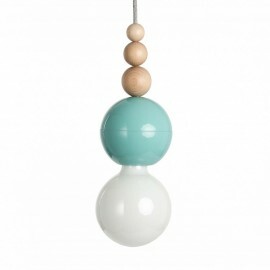 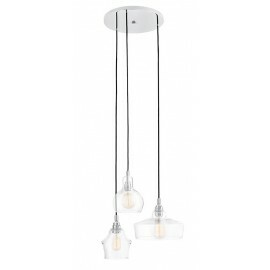 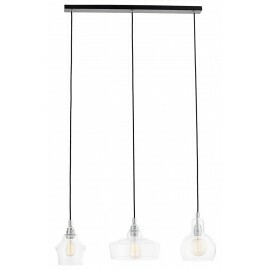 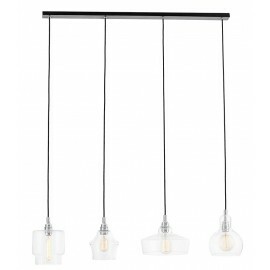 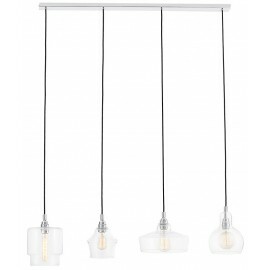 Collection of hanging spheres with a tube lampshade. 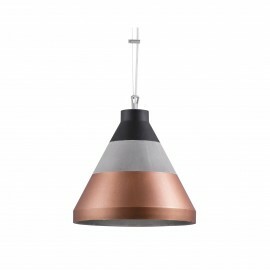 Wide variety of colours for the textile lampshade and their three sizes give an opportunity for creating desired unique combination when fitted in multiple arrangement e.g: in the living room or bedroom. 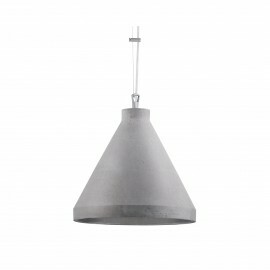 Singular fitting serves as a discreet decoration best for simplistic interiors. 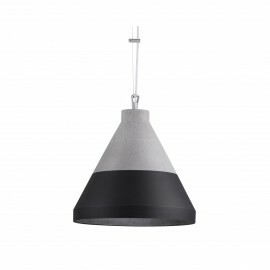 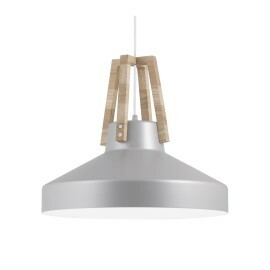 Lampshades for MERIDA lamps are made by hand in Polish steelworks and may contain blisters and other structure disturbances, appropriate for individually manufactured molds. 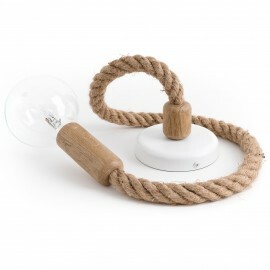 Manual execution is a guarantee of uniqueness and is not a defect of the product, but its advantage. 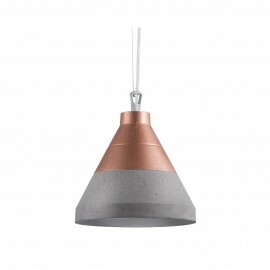 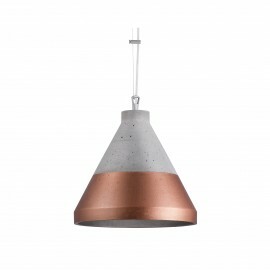 - Material: metal, glass, lampshade fabric. 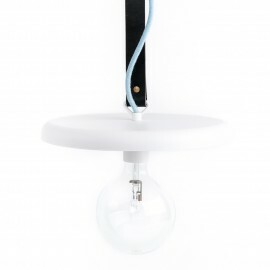 - Number of light sources: 1 x 23W, maximum luminaire power: 23W. 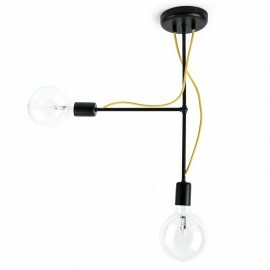 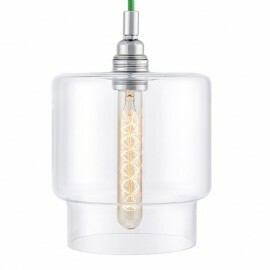 - Color of the frame: chrome, color of the glass cover: transparent, lampshade color: gold. 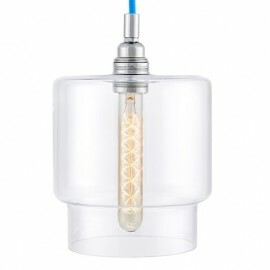 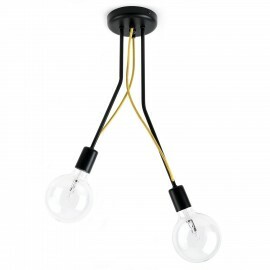 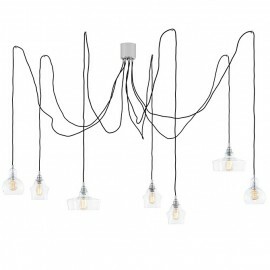 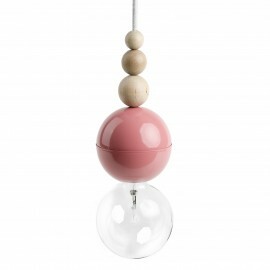 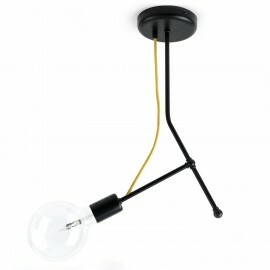 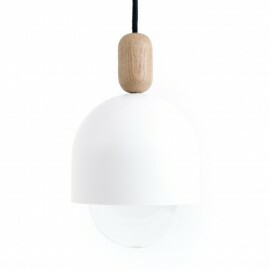 - Product size: 165cm length, cord length 140cm, diameter of the lampshade 20cm.